It’s a normal, natural part of the aging process, yet many women are still worried about going through menopause. So during World Menopause Month, let’s talk about it openly. Sure, there are some less desirable symptoms that accompany changing hormones — like hot flashes — but there are also things to celebrate, such as no more periods, PMS, or worrying about unwanted pregnancies. Add to that the increased self-confidence, self-awareness, and greater freedom that menopause often brings, and October can become a time of amazing personal growth and excitement. Embrace it, don’t try to erase it! The play consists of 25 comedic songs about menopause, covering topics such as food cravings, hot flashes, and memory loss. ​Ayerst Laboratories started selling Premarin, a still-popular estrogen replacement therapy that helps with menopause symptoms. ​Merck begins marketing Ovariin, made of desiccated and pulverized cow ovaries, as a remedy for menopause symptoms. ​​A French physician named Charles Pierre Louis De Gardanne coined the term la ménépausie (menopause) in 1821. ​Though the word menopause didn't yet exists, the philosopher decided it started at age 40 and noted women couldn't bear children after age 50. Use the newfound independence an empty nest brings to pursue the passions and projects you’ve put aside until now. Put the focus back on yourself and what makes you happiest. Starting a frank discussion about menopause helps clarify and demystify it. Use your experience to help others be better informed and approach the process with less anxiety. 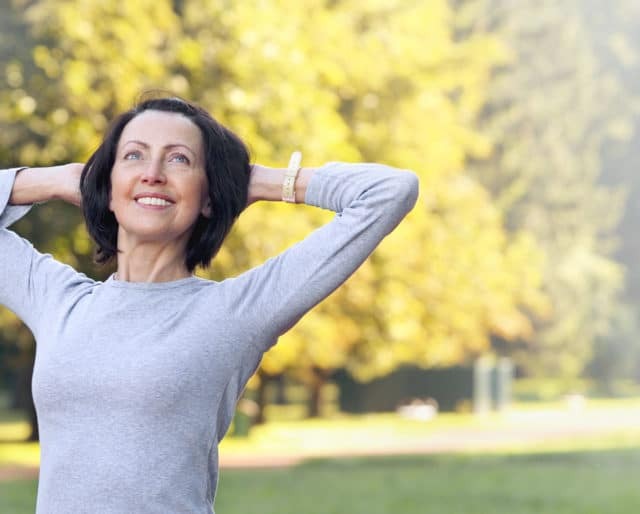 Studies show exercise does wonders for reducing any bothersome menopausal symptoms. For instance, yoga can help manage hot flashes. Downward dog away! ​Other animals continue reproducing throughout their lifespan. ​Of those, only one in 12 suffer from depression. ​The theory is that larger amounts of soy in their diet account for the difference. ​The "grandmother" hypothesis assumes females stop having children so they can help existing ones to ensure the gene pool continues. ​This theory postulates that the reason for hot flashes rests in the hypothalamus gland, which regulates body temperature. Hormonal changes after menopause may bring changes in sleep, heart health, and bone density. Consult with your doctor to ensure your body is functioning at optimal levels and take steps to mediate any issues. Back in Victorian times, menopause was seen as a disease to be treated with all sorts of misguided “remedies” like belladonna, injectable lead, and pulverized cow ovaries. Dedicating a month to talking about the realities of menopause — and how NOT terrible it is — can help change the negative attitudes many people still hold. If you are among the one in three women who experiences issues in menopause, know there are many options for managing your symptoms. Consult your doctor, try an herbal remedy, go for a walk or run. Keep at it until you find what works for you.